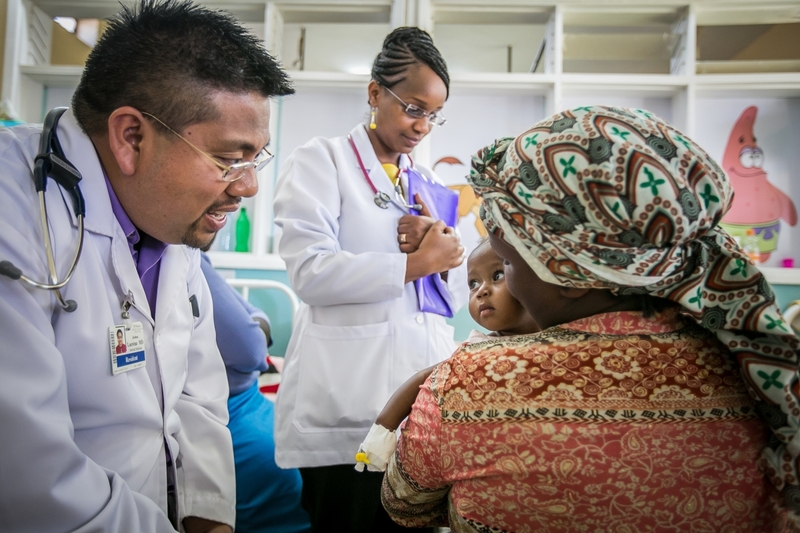 At the University of Washington, we believe improving population health worldwide is a moral imperative, driven by our public mission of service to all; healthy people, healthy planet. UW Sustainability is supporting a group of students, faculty, and staff from across the UW health sciences to launch two new initiatives connecting healthcare academics and operations with sustainability opportunities and challenges. Sustainability and Medicine (SAM) is a facility-by-facility effort to coordinate and optimize sustainability practices that improve patient outcomes, reduce expenses through resource and process efficiency, and strengthen stakeholder relationships. Multidisciplinary Efforts for Sustainability in Healthcare (MESH) engages students, faculty, and staff from other areas of UW that intersect with healthcare, such as Built Environments (green building in healthcare design), Engineering (sustainability in medical device design), and Social Work (issues of access and social/environmental justice). These initiatives also work closely with the UW Environmental Stewardship Committee subcommittee on Greening Health Sciences. >> Subscribe to the SAM Listserv to receive email updates. Article | Becker's Hospital Review. 2018. UW Medical Center named one of the 68 greenest hospitals in America for 2018. Becker's Hospital Review. Article | UW News. 2018. NIH awards University of Washington, partner institutions $6.5M for reusable, reproducible biomedical modeling. UW News. Article | Gray, L. 2018. UW named a genome center for NIH All of Us. UW Medicine. Article | Pierre, M. 2018. Designing Patient-Friendly Facilities. MedicalExpo E-Magazine. Article | Practice Greenhealth. 2018. UW Medical Center (UWMC) and Harborview Medical Center (HMC) recognized in Practice Greenhealth's Top 25 Environmental Excellence Awards. Practice Greenhealth. Article | Karidis, A. 2018. How the Healthcare Industry is Addressing the Fast-Growing Medical Waste Problem. Waste 360. Article | Hickey, H. 2018. UW faculty selected as authors, editors of international report on climate change. UW News. Article | Scanlon, C. 2018. Through environmental stewardship, hospitals can preserve and protect health. GreenBiz. Article | Mankowsi, T. 2018. Med school forms world's first Health Metrics Sciences department. UW Medicine. Article | Ferenc, J. 2017. Harborview Medical Center installs large solar array. Health Facilities Management Magazine. Article | UW Medicine. 2017. Lisa Brandenburg named UW Medicine chief health system officer. UW Medicine. UW Health Sciences is comprised of many schools and colleges including Dentistry, Medicine, Nursing, Pharmacy, Public Health, and Social Work. Global Health, Built Environments, Engineering, and the new Population Health Initiative are important academic units as well, among many others, that play a role in understanding and addressing the nexus of human health and the environment. UW Medicine includes four hospitals – Harborview Medical Center (HMC), Northwest Hospital & Medical Center, University of Washington Medical Center (UWMC), and Valley Medical Center. Together these medical centers admit more than 63,000 patients each year. In addition, it provides outpatient care for more than 1.3 million patients each year through its 12 UW Neighborhood Clinics and other primary and specialty care clinics. UW Medicine also includes Airlift Northwest and the UW Physicians practice group. UW Medicine also has strong connections to regional partners such as Seattle Children’s Hospital, Fred Hutchinson Cancer Research Center, VA Puget Sound Health Care System and Boise VA Medical Center. UW Medicine hospitals and partner institutions have been reducing their environmental impacts for decades and are continuously seeking ways to improve patient care and operations, many of these efforts have been recognized locally and nationally. For more information about SAM, MESH, or the Greening Health Sciences Initiative contact Sean Schmidt at sgs1@uw.edu.